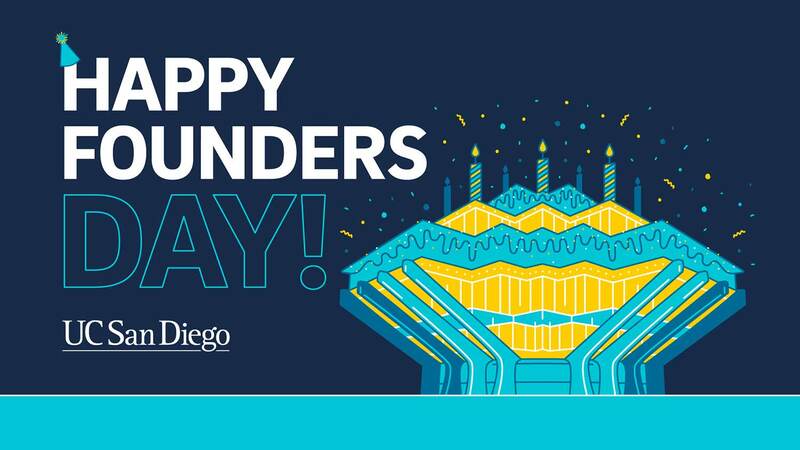 All students, faculty and staff are invited to celebrate UC San Diego Founders Day, which will include free Nomad Donuts, giveaways, music and a photo booth. 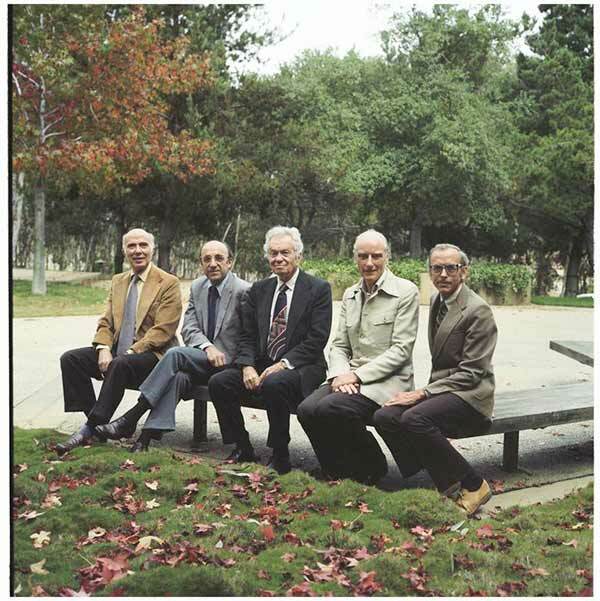 In 1960, UC San Diego’s first students—graduate students in physics, chemistry and earth sciences—enrolled in a brand new University of California campus. Four years later, the first undergraduate students arrived. Many were attracted by the chance to study with renowned faculty members, such as Harold Urey, a Nobel Prize laureate who arrived in La Jolla in 1958 to teach chemistry. At an assembly for new freshmen, Urey counseled the precocious students: organize your work carefully, and you may be able to “get by” with 60 to 70 hours of study a week. “[UC San Diego] is a challenging new school not bogged down by tradition with a curriculum of innovation and a look to the future,” freshman Mike Wagner told the San Diego Union-Tribune in 1964. Treated like graduate students, freshmen could select from majors in biology, chemistry, earth sciences, English, math, philosophy and physics. 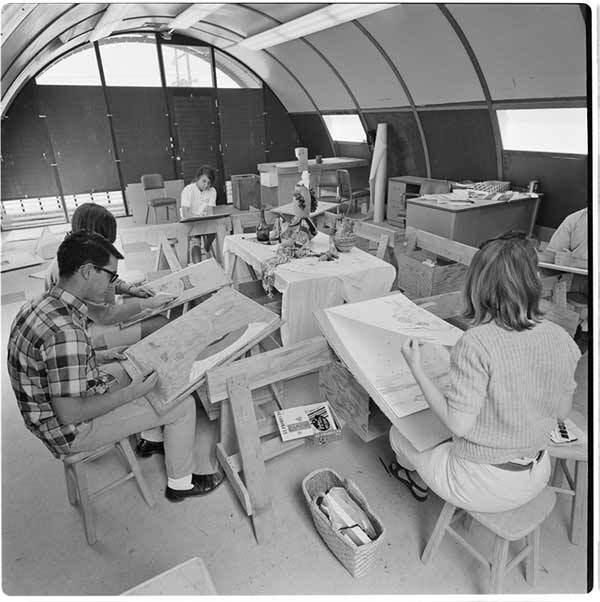 From the very beginning, UC San Diego was designed to be different. The university was officially established on Nov. 18, 1960. Since that time, it has maintained a spirit of curiosity and a desire to look deeper. Our scholars continue to make a difference in unconventional ways, such as turning oil rigs into living reefs; addressing critical human rights issues through the arts; creating personalized cancer vaccines and developing solar-powered water irrigation systems to help end hunger. In honor of our campus’s 58th birthday, all students, staff, faculty and alumni are invited to join in Founders Day Celebration from noon to 1:30 p.m. on Friday, Nov. 16 on Library Walk. The free party will include donuts, music, a photo booth, giveaways and more. It was the winter of 1957, and Roger Revelle, director of Scripps Institution of Oceanography, was planning an unforgettable beachside reception for the University of California Regents. He was intent on convincing the Regents to approve a new university campus in La Jolla. The trip included visits to three potential sites, including an area around Lake Murray, the northeast corner of Balboa Park and the land north of Scripps Institution of Oceanography. Among the criteria were “a sense of place” and “the spirit and nobility” of the site. Two years later, the new campus was endorsed by the Regents, to be named the University of California, La Jolla. Scripps Oceanography, already a prominent research institute with hundreds of graduate students, would anchor the burgeoning university. The next step: recruiting prestigious faculty members. The first students united at the beach as well. They would spend time at a small beach house next to the Scripps pier. Their unofficial mascot was “Hot Curl,” a famous surfing cartoon character created in 1963. It wasn’t until Dec. 12, 1964 that the inaugural class voted to be known officially as UC San Diego Tritons, named for a mythical god of the sea. Other “nicknames” for the campus that were considered included Dolphins, Barracudas, Grizzly Bears and Hornets. Ultimately, the sea god won, inspiring other traditions such as the Triton Fanfare, a ceremonial horn blowing using conch shells. 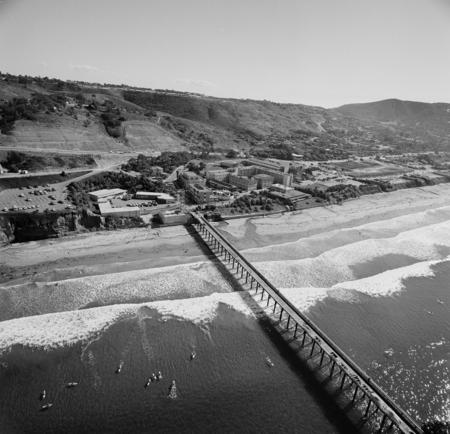 In just six decades, UC San Diego has grown tremendously. What started as a campus comprised of a small number of graduate students in 1960, and a freshman class of 181 in 1964, has multiplied to 30,285 undergraduates and 8,513 graduate and professional students today. For the second year in a row, the London-based Times Higher Education ranked UC San Diego the world’s No. 1 research university founded during the “golden age” of higher education development, in the two decades between 1945 and 1967—when higher education was characterized by rapid university expansion and increasing investment in research. The campus was first named University of California La Jolla. Eucalyptus trees were originally planted on campus to make railroad ties by the Santa Fe Railway. Campus founders originally envisioned 12 distinct colleges, each with 2,300 students. The mascots considered by the first undergraduate class included Dolphins, Barracudas, Grizzly Bears, Hornets, and of course, Tritons. UC San Diego had a football team for one year in 1967-68—and they lost every game! The University of California first imposed student tuition in 1969. The school’s Pep Band was formed in 1983 to foster spirit during athletic games. “Sun God” was installed as the first public artwork in the campus’s Stuart Collection in 1983. A year later, the Sun God Festival was created. Want to learn more? Visit the Campus Timeline.